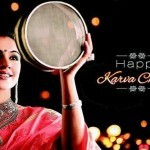 Karwa Chauth this year is being celebrated on 30th of this month. It is one of the most auspicious festivals for married women where they keep fast for the long life and well being of their husbands. 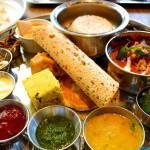 Women generally wake up early on this day and eat special food known as Sargi, sent by Mother in Law before sunrise. They do not eat or drink anything after sunrise. Drinking water too is prohibited. Although nowadays people who cannot follow such a hard ritual or have any medical condition, generally have water. The shopping for sarees, suits, matching accessories like bangles, bindi etc. 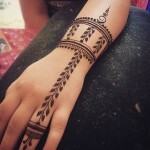 are done many days before with full enthusiasm as every women wants to look the best on this day. Karwa Chauth fasting is done during Krishna Paksha Chaturthi in the Hindu month of Kartik and according to Amanta calendar followed in Gujarat, Maharashtra and Southern India it is Ashwin month which is current during Karwa Chauth. 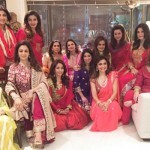 However, it is just the name of the month which differs and in all states Karwa Chauth is observed on the same day. Karwa Chauth coincides with Sankashti Chaturthi a fasting day observed for Lord Ganesha. Married women worship Lord Shiva and His family including Lord Ganesha and break the fast only after sighting and making the offerings to the moon. The offering of Chandan, Rice, Flowers and most importantly water is offered to moon after which women use Chalni ( a see through wired vessel) to see their husbands through it. At the end the fast is breaked after the husband offers his wife drinking water. The fasting of Karwa Chauth is strict and observed without taking any food or even a drop of water after sunrise till the sighting of the moon in the night. After that they can have food. 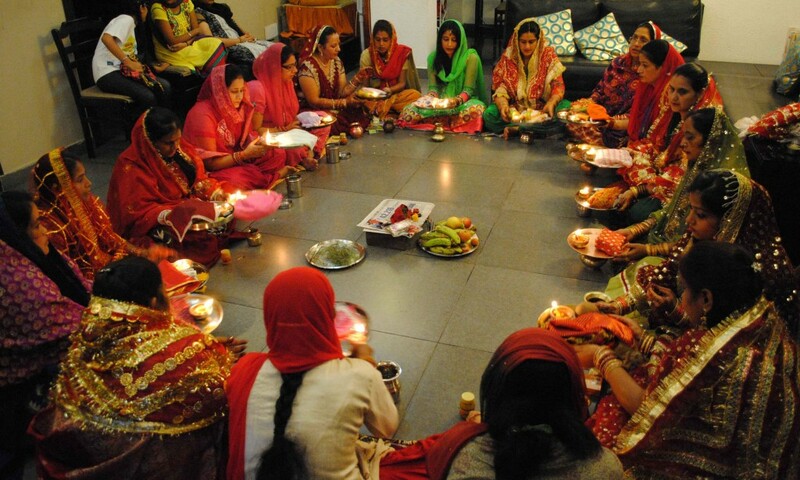 A special pooja is done in the evening, before sunset where a group of ladies gather with their Thalis or plates decorated with lamps and prasad and read the Karwa Chauth Vrat Katha, in simple words the ancient story and belief behind keeping this fast. Karwa Chauth day is also known as Karak Chaturthi (करक चतुर्थी). Karwa or Karak refers to the earthen pot through which water offering, known as Argha (अर्घ), is made to the moon. Karwa is very significant during Puja and it is also given as Dan to the Brahmin or any eligible woman. 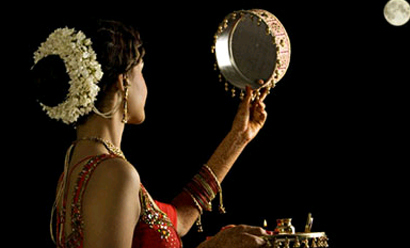 Compare to South Indian states, Karwa Chauth is more popular in North Indian states. After four days of Karwa Chauth, Ahoi Ashtami Vrat is observed for the wellbeing of sons. 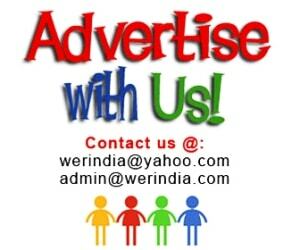 We can see Bollywood movies like Dilwale Dulhaniya Le Jayenge, Kabhi Khushi Kabhi Gham, Baghban etc. popularizing the occasion too.